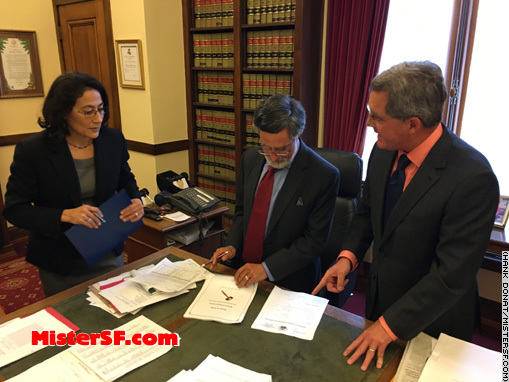 Supervisor Aaron Peskin (center) reviews documents with the Clerk of the Board of Supervisors, Angela Calvillo City and Attorney Dennis Herrera. 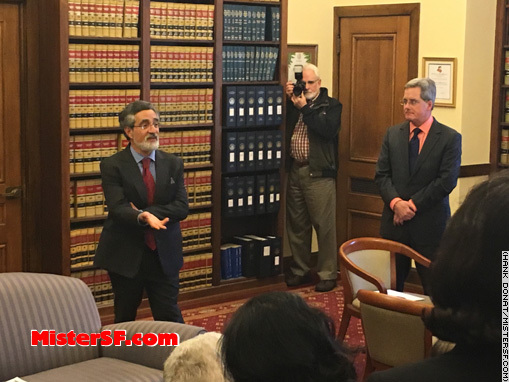 District 3 Supervisor Aaron Peskin took the oath of office in City Attorney Dennis Herrera’s City Hall office today, about an hour before the regular Tuesday meeting of the Board of Supervisors. 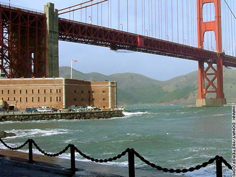 Peskin, a fiery former Board president who last served as a Supervisor in 2009, was elected to the post in November over mayoral appointee Julie Christensen. Peskin’s victory is seen as a rebuke by voters of Mayor Ed Lee, and of his housing policies in particular. Peskin is a staunch advocate for tenant’s rights whose district is among the hardest hit by evictions. Lee was also reelected this year. Peskin addresses family members, colleagues, campaign leaders and friends following his swearing-in as District 3 Supervisor. Before the end of the day, Peskin could count the spiking of a $30 million sweetheart land deal, which had been favored by the mayor, among his first official acts. Welcome Back.